From sheer wedding dresses á la Karlie Kloss to bateau necklines inspired by Meghan Markle, we’ve talked a lot about different bridal trends. While boasting a variety of silhouettes and detailing, most of the gowns in question had one thing in common: they stuck to traditional white color palettes. But the conventional route is far from your only option on your wedding day—as these 6 celebrities can attest to. In the past two weeks, both Mandy Moore and Malin Akerman got married in beautiful pink wedding dresses, and we have a feeling they will inspire more than a few brides in 2019. 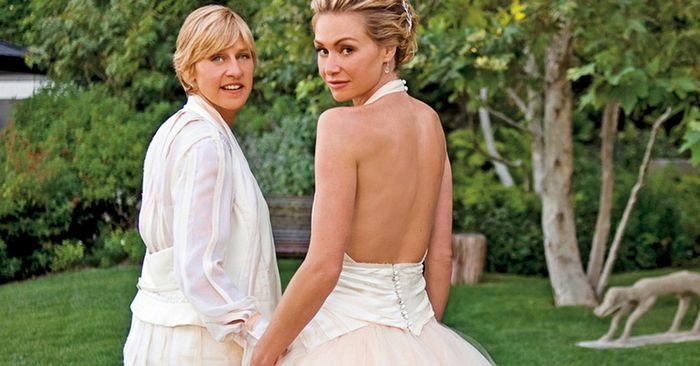 Looking back, some of our favorite bridal looks in Hollywood have also been pink. Anne Hathaway, for instance, chose a subtly saccharine Valentino dress, while Gwen Stefani’s memorable dip-dye Dior dress will go down in history. Scroll down to see our favorite pink celebrity wedding dresses.